Get up close and personal with the talent on the day and hear expert inside information about the inner workings of their clubs and their teammates. Experience the chance to hear some funny stories of situations throughout their playing careers and inspiring stories of their motivation. 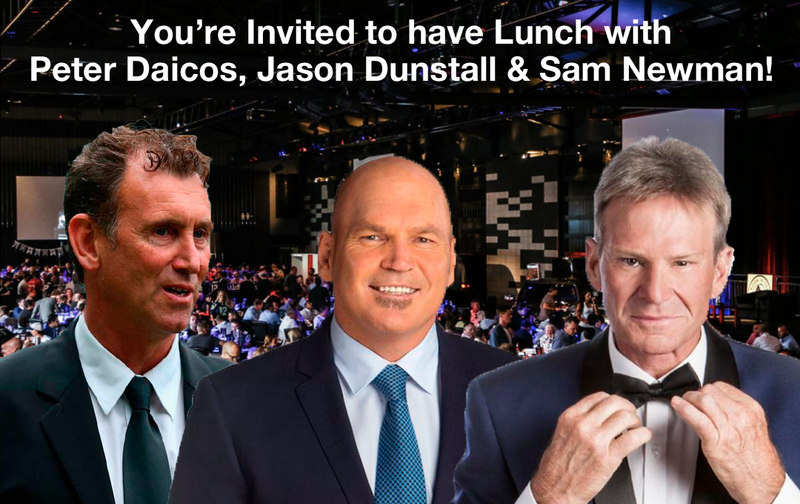 This is the prime opportunity to host your clients at one of the most well-known events on the AFL calendar. Prime Position Seating | 10 guests | VIP after-party | 2 Course Meal | Beer & Wine Package | Meet and Greet for Two Guests. guests will sit nearest to our platinum and premium partners and share in a high-end experience. Be sure to note, seats are limited in this section and sell out quickly. Whilst generally at the back of the room, the Silver Section gives you a great panoramic view of the comings and goings. A great place for you and your mates to do some celebrity spotting. Enjoy an all-day food and beverage package and sit with your guests to hear David King and Michael Roberts run the show and ask our players and celebrities the right questions. This event is one that will leave you a feeling In Your Element. It is the very event that launched our business, becoming the cornerstone of many more successful Element Entertainment events to follow. 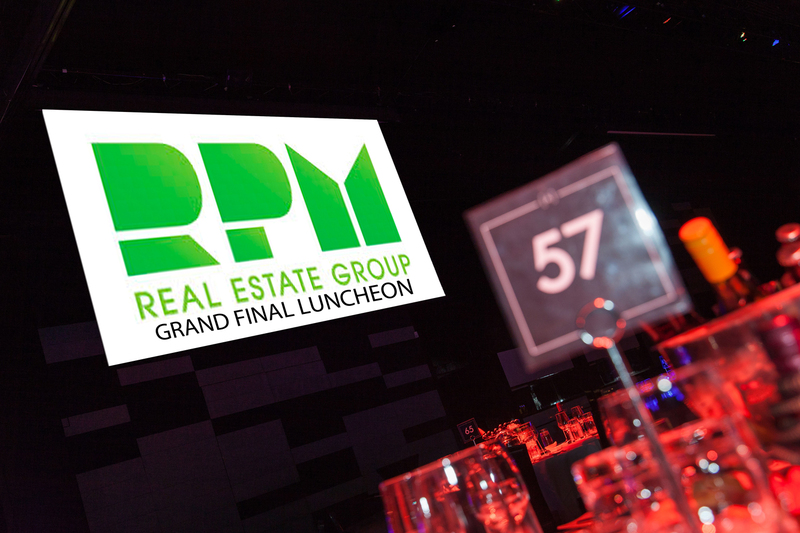 As a forward-thinking organisation, we pride ourselves on our innovation, constantly striving to provide our valued clients with one of the best luncheon’s leading up to the highly anticipated AFL Grand Final. Join Us for a truly inspiring atmosphere second-to-none, motivating you and your business partners to move your relationships to the next level through a shared passion for the game at the most anticipated time of year. Historically, we have had the presence of some of the most elite athletes in AFL history partnering with us at our highly sought after events. These remarkable keynote speakers have shared inspiring stories of their journey, the challenges, hard work and sheer determination which has led them to their success and enviable careers. 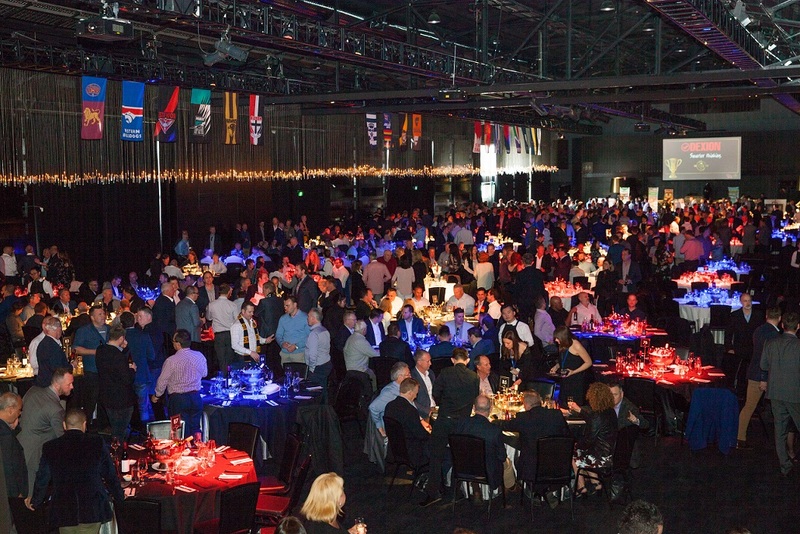 Our reputation for providing our clients with some of the most sought after events has enabled us to secure AFL champions such as Chris Judd, Patrick Dangerfield, Luke Hodge and Luke Ball just to name a few. We have further been privileged to hear news breaking stories first hand from the player’s themselves, prior to public release. In 2017 we witnessed Luke Hodge reaffirming his playing career with Brisbane, just weeks after he declared his retirement and conclusion of play with Hawthorn.